Sribadam is a picturesque forest village situated at an altitude of about 7000 ft, famous for the meditation and healing center set in the monastery. 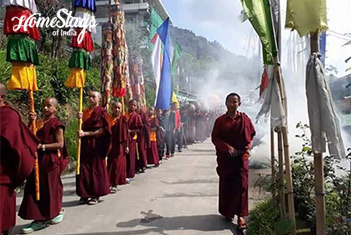 It is located 106 km from Gangtok in West Sikkim and 129 km from Siliguri. There are lakes, monastery, waterfall and stream for fishing. One can also trek to Versey Rhododendron Sanctuary. The village is a paradise for bird watchers and for butterfly’s lovers. You can go for a short uphill trek to the waterfall, take a small walk to Cardamom (elaichi) plantation. Also you can visit holy Eight Wheels which run by water current. This place is very holy to local villagers. An annual Cham dance (Mask Dance) is celebrated in this village every year during month of December. 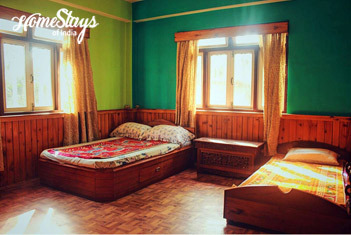 Kesang’s Home Stay was founded in 2013, first and finest home stay in Sribadam. 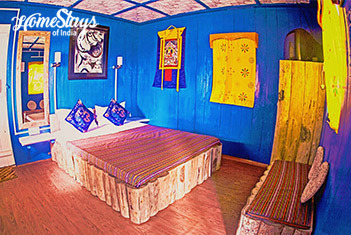 It has only two but very well done rooms; one is triple occupancy and the other is double. 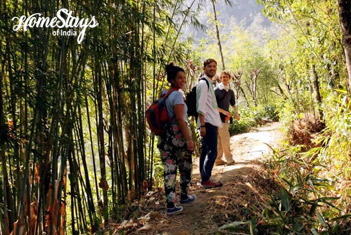 Kesang strictly follow Sikkimese lifestyle so the guest is made to feel that they are at Sikkim. 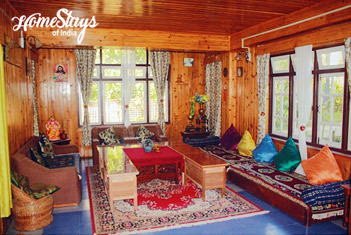 It is basically a heritage conservation and litter free home stay. A small library is also provided to the guests. 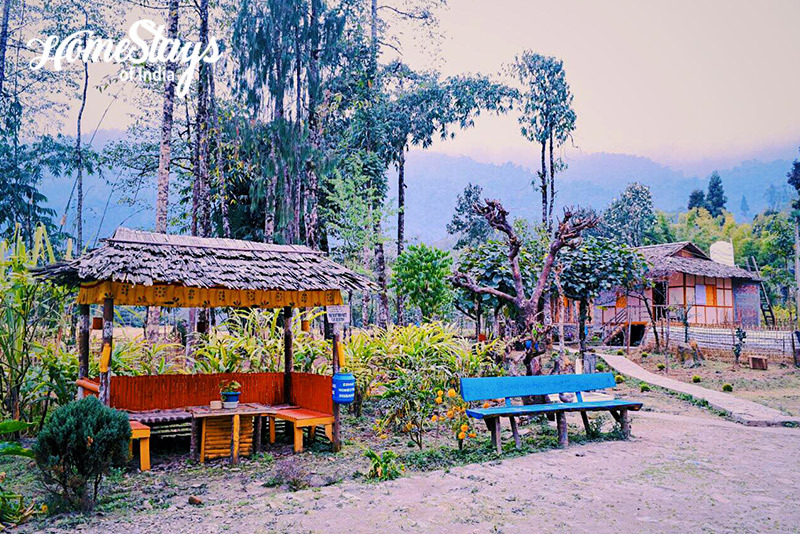 Kesang, the host belong to Bhutia Tribe, is a young and very sophisticated guy who loves his culture and traditions, who wants to nourish Sikkim’s rich heritage and customs and working hard in this direction. He has put dust bin all over village and keep spreading words about cleanliness. His hobby is to use waste material to decorate his Home and garden. Quite interesting fellow he is! Kesang serves pure organic Sikkimese veg. and non-veg. food. Breakfast as per guest choice like, Paratha with curd, Butter Toast, Bread Omelet etc. Plum wines can also to be tried in season.